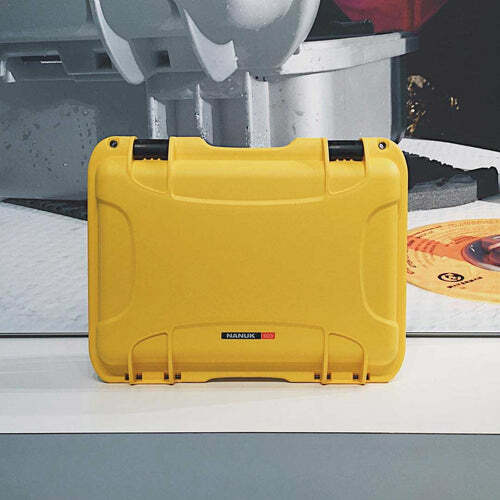 The 923 laptop case takes protection to a new level. 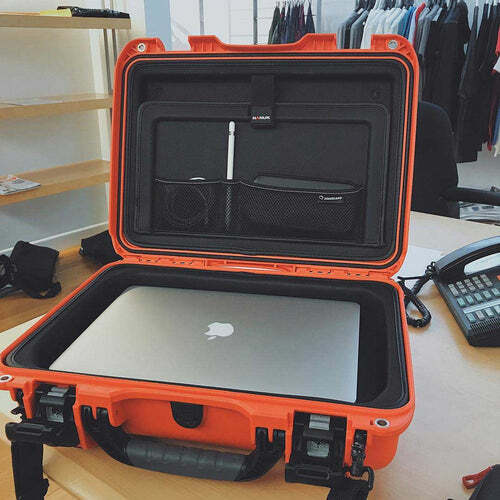 The molded interior has been engineered to protect your laptop from the dangers of travel while providing generous space for accessories and other necessities in both the lid and under the laptop. The included removable laptop sleeve offers an extra layer of protection and usability. 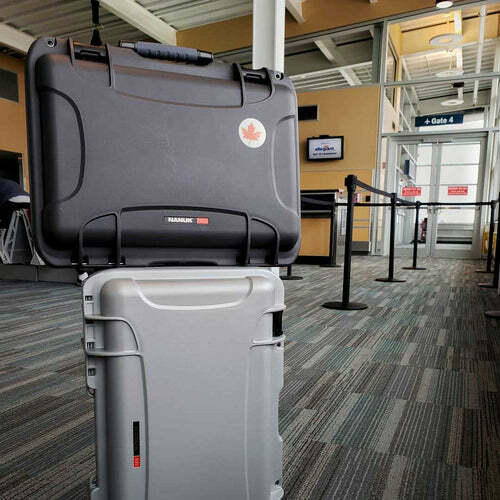 Don’t need the heavy duty protection of the 923 case when you arrive at your destination? Simply take out the sleeve, hook on the Aircell shoulder strap and you are ready to go! 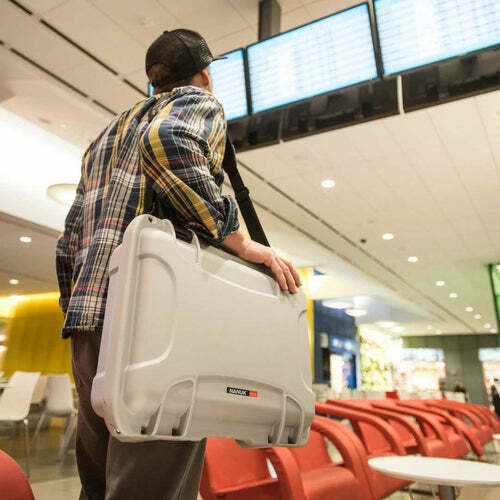 The 923 Laptop is also the perfect solution for laptop check-in requirements. TSA compliant keyed latches keep your device safe but accessible to TSA agents if an inspection is required. What laptop size fits the Nanuk 923 case? 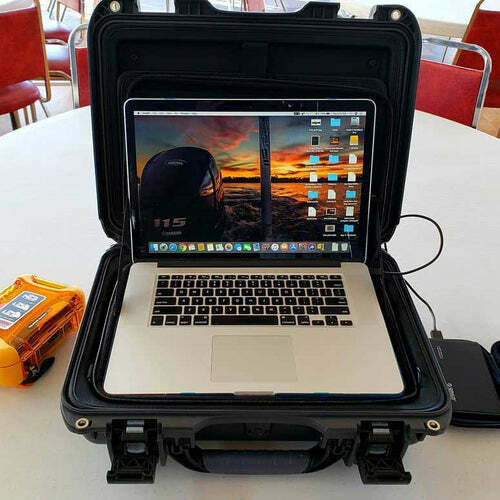 Laptop sleeve fits laptops up to 14.13" x 9.75" x 1.25" Case WITHOUT sleeve fits laptops up to 15" x 10.63" x 1.5"
Note: Currently out of stock until end of May 2019. Order now and we ship when in stock. Over the years I have purchased a number of cases to carry my computer equipment. While some have been pretty good, others turned out to be less than underwhelming. I decided on Hardcase Nanuk after seeing one first hand and seeing the enthusiasm of the purchaser. I'm using the case to carry my computer equipment. I appreciate the fact that the case is extremely robust and secure and that my equipment will be safe. 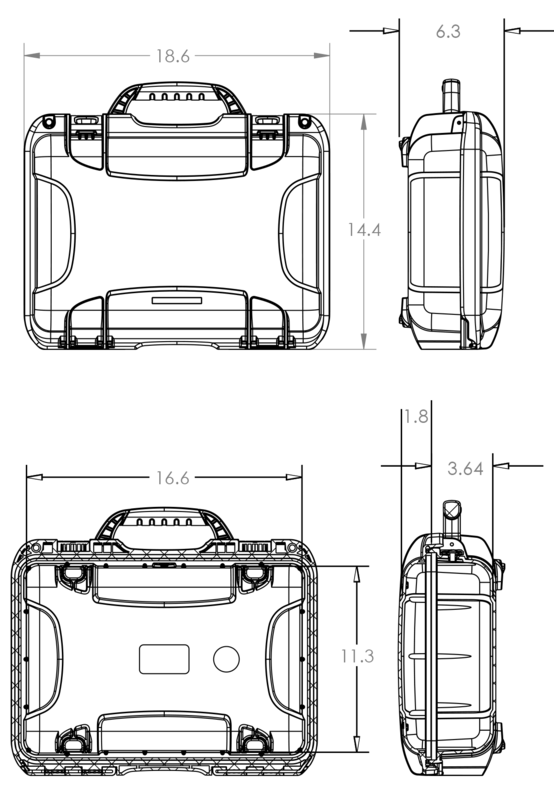 I'd be remiss in not mentioning that this particular case has some "heft." It weighs in at 10 Lbs. The quality of this product is outstanding. I have no reservation in providing a solid recommendation ! This is a seriously heavy duty case. Just feels better than the Pelican equivalent. Organization internally is exceptional. Honestly - it’s way more case than one needs for anything short of rappelling out of a helicopter but I don’t spare any energy worrying about my gear now. Some of my buddies mock me but that's for the utter overkill not the quality (and I'm pretty sure half of them just haven't decided on the colour they want to order). Hard Cases was super easy to deal with. Very pleased. I was trying to find a secure, dust and rain proof way of transporting my two laptops on my motorcycle. Top case are just too expensive, and don't have any padding, so you still need a padded bag. 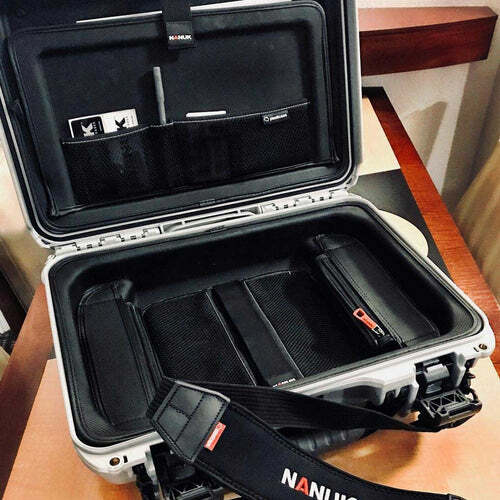 I did "test" exhaustively the Nanuk cases as side cases on my 11,000km motorcycle trip to Alaska a few years back, in less than optimal condition. I was totally impress by the performance and quality of those cases, and I still have them. I also ordered the wrong model once, and can testify that their customer service is excellent. So when I saw that Nanuk was offering a 923 Laptop case, I decided to give it a try. 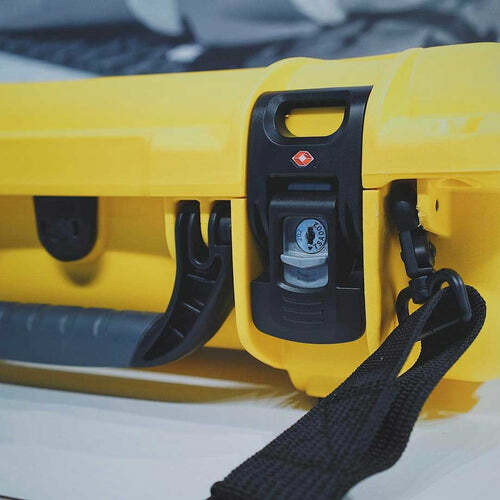 What I like about the case is the same incredible robustness, the fact that they are "totally" waterproof, the interior arrangement and padding who is excellent, and the quality shoulder strap and locks. Of course this come with some weight, so this is not a light case. But overall, I am totally satisfied with this case, and the company. I recently purchased the 923 laptop case. The case itself exceeded my expectations for quality and functionality. But, it was David’s service that has really secured me as a loyal customer. I had a concern with the delivered case. David contacted me by phone and email, to understand my concern and to confirm that everything was resolved satisfactorily. And he sent me a new case without hesitation. 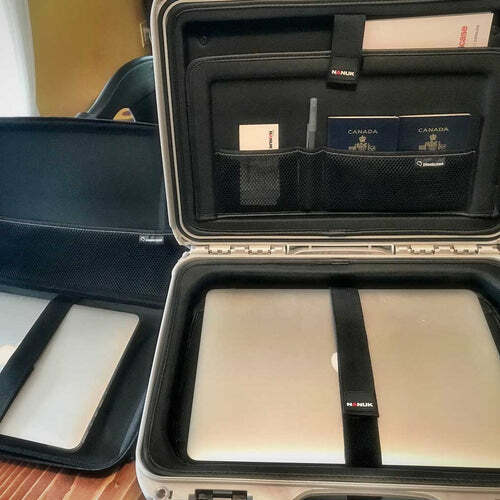 Both times, the cases arrived very fast, and they really are a solid, well designed, and highly functional case. 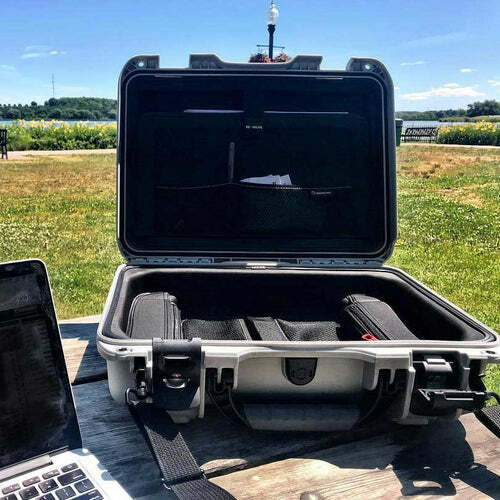 I’m buying another, larger case, to take additional audio and video gear on flights, and David has been very quick to respond and offer his experience and technical information as I sort out the best case for my needs. I don’t hesitate to fully recommend hard case and am confident you will be glad you went with this company.